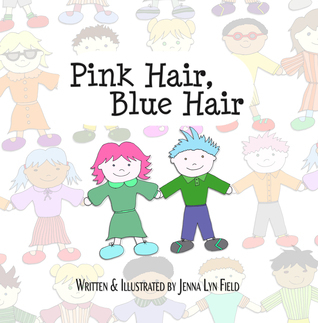 Because, to celebrate its release in TEN DAYS, PINK HAIR, BLUE HAIR is up for grabs in a Goodreads Giveaway. And you want a copy, right? You want a copy for your wee ones. You even want a copy for yourself. She's woven this beautiful story to let all children know that they are all unique, no matter the color, no matter the clothes, no matter the shoes they wear they're all equal, yet still unique. Like a favorite teddy bear, your child will keep this book close by and read it often. Buy multiple copies and keep one in the car and one at grandma's too. A beautifully written and illustrated book for children (and adults) about being yourself. It's ok to be different, it's ok to be unique, it's ok to be you! Giveaway ends July 16, 2015.